Regiment/Catrawd: 9th Battalion Australian Infantry. Service Rank and Number / Rheng gwasanaeth a rhif: Private No. 5100. Military Cemetery/Memorial / Fynwent milwrol: Gordon Dump Cemetery, Somme. Ref No Grave or Memorial / Rhif cyfeirnod bedd: Plot: 1. Row: B. Grave: 40. Killed in action during the Battle of Pozieres (Somme) on 25 July 1916 aged 19 years. John Tudor Griffiths was born in Rhyl, Flintshire, Wales, during 1897. The 1901 Census shows that the family lived at 48 High Street, Rhyl, Flintshire. The head of the family was John Frederick Griffiths aged 43, a Draper. His wife Catherine Jane Griffiths aged 34 and their 6 (six) children – Marie Griffiths aged 12, Gwen A Griffiths aged 10, Thomas Frederick Griffiths aged aged 8, Gladys E Griffiths aged 6, John Tudor Griffiths aged 4 and Howell Idris Griffiths aged 2 years. Also living with the family were two employees, Hugh Jones aged 24, a Drapers Assistant and David Maxwell aged 23, also a Drapers Assistant. Mr & Mrs Griffiths also employed two live in Domestic Servants, namely, Margaret Hughes aged 16 and Mary Hughes aged 23 years. The family sometime after this moved to Free Trade Hall, 90 High Street, Rhyl, Flintshire. On Tuesday 13 October 1914, John Tudor Griffiths emigrated to Australia. 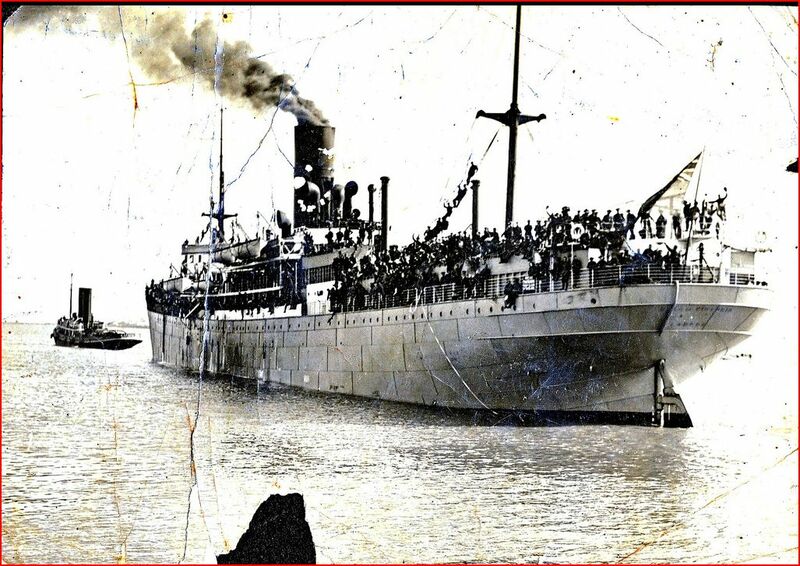 He embarked the Motor Vessel ‘Indrapura’ at London (Tilbury) Docks and sailed for Sydney, Australia. His occupation on the Ship’s Manifest is recorded as a Farm Student and his age as 16 years. Nothing is known of his life in Australia, but during late 1915 he enlisted with the 9th Battalion Australian Infantry Reinforcements and on Friday 31 March 1916 with the Battalion he sailed for Europe on HMAT Ship ‘Star of Victoria’. He was killed in action soon after arriving at the front. HMAT Ship ‘ Star of Victoria’, leaving Sydney, Australia on 31 March 1916. Liverpool Daily Post – 23 August 1916 – News was received in Rhyl yesterday that Private John Tudor Griffiths, son of Mr Griffiths, Free Trade Hall, had been killed in action. The young man was but 18 years of age when war broke out, and was in Australia at the time. He at once joined the Australian Forces and in due time proceeded to the front. The National Probate Calendar for 1917, which was administered with a Will at St. Asaph, Denbighshire, dated 27 November 1917 stated that John Tudor Griffiths on his death had bequeathed the sum of £302.19s0d to his mother, Mrs Catherine Jane Griffiths. 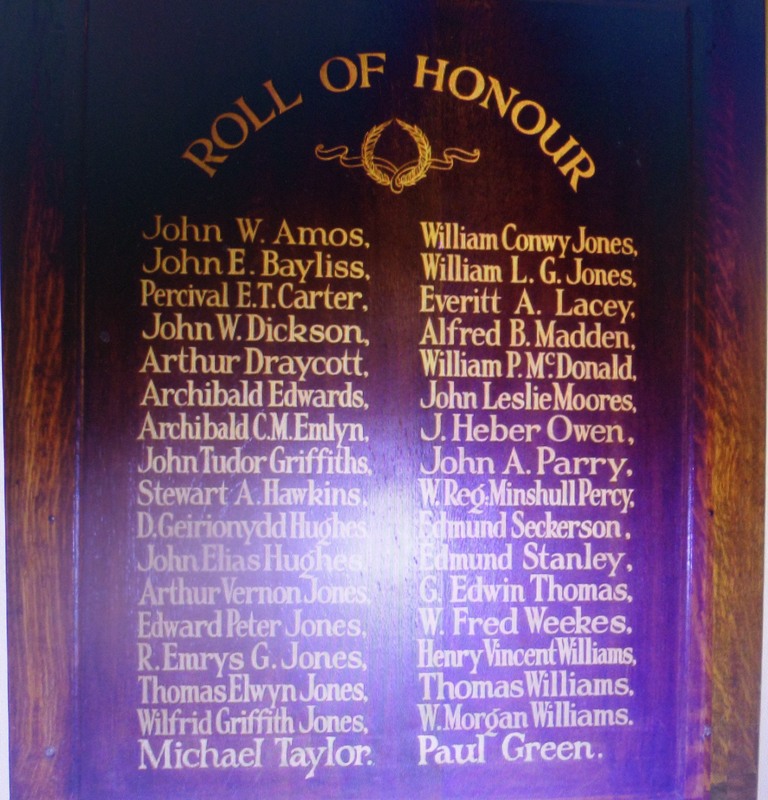 Private John Tudor Griffiths is remembered on a Roll of Honour Plaque which was on display at The County School, Grange Road, Rhyl. John Tudor Griffiths is remembered on the Remembrance Plaque at the Royal Alexandra Hospital, Marine Road, Rhyl, Flintshire and on The Battle of the Somme Roll of Honour 9th Battalion Australian Infantry (Queensland), Australia. His name appears also on the North Wales Heroes Memorial Arch, Deiniol Road, Bangor, North Wales. There is a Flintshire Roll of Honour Card for him at the County Archives Office, Hawarden, Flintshire, dated 18 September 1919 and signed W. M. Williams.